No, not the real one. I don’t know if the real one has ever been near Islay, let alone on Islay. 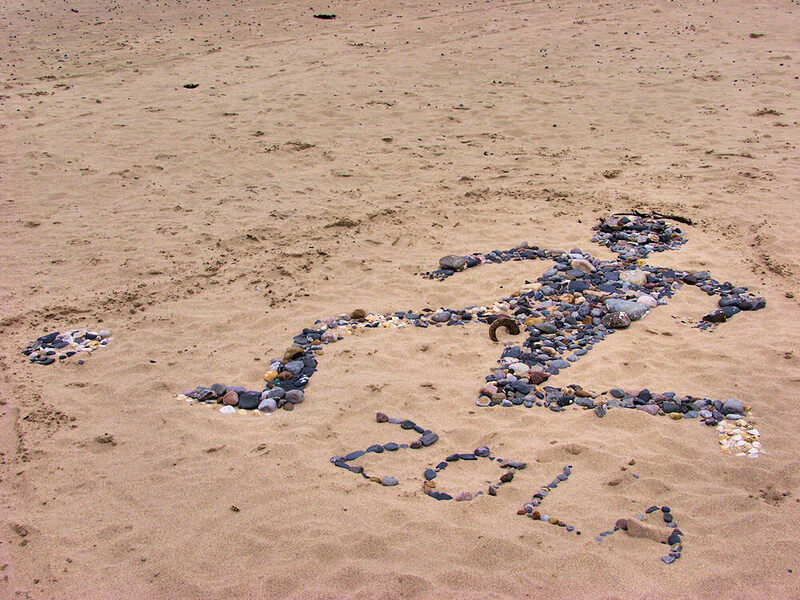 Someone (presumably a Chelsea fan, as this was at the end of his time with Chelsea) created this mosaic on the beach in Machir Bay in 2003. This entry was posted in Beaches, Cloudy Weather, Repost and tagged Islay, Machir Bay by Armin Grewe. Bookmark the permalink.